Organizers estimate participating resorts provided an estimated 6,200 beginner lessons that day for a new industry record. 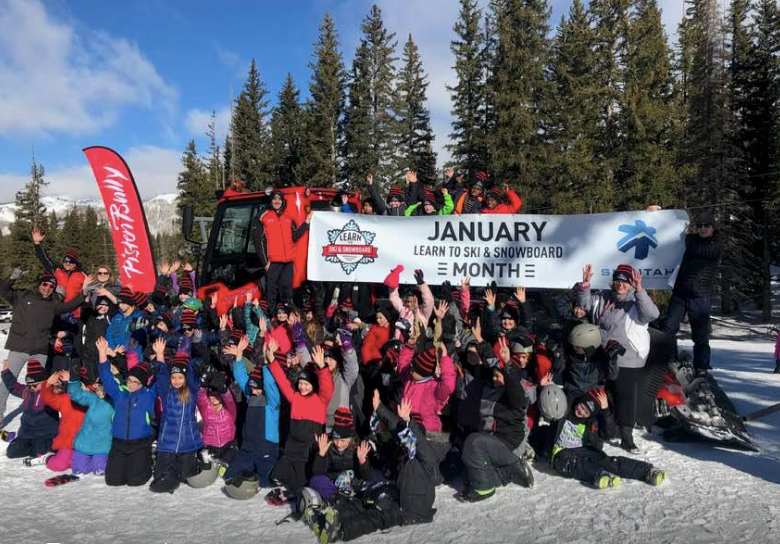 “We wanted to create a special day that would shine a spotlight on taking beginner lessons from professional instructors and to set an industry record for the most beginner lessons provided in a single day at U.S. locations,” explained Mary Jo Tarallo, director of the Learn to Ski and Snowboard (Month)/Bring a Friend initiative. “We tried for a Guinness World Record in 2016 but their requirements are strict and not really suited for compliance by multiple locations in four different time zones. So, we decided to do our own thing.” The Guinness try generated about 6,000 lessons but no official record. This year, Pennsylvania’s Blue Mountain reported the most lessons specifically related to the special promotion with 302. In Illinois, Chestnut Mountain reported 275, Wachusett Mountain tallied about 250 and Ski Butternut reported 237 in Massachusetts, Oregon’s Mt. Hood Meadows reported 235 and Mountain Creek In New Jersey had 224. Ski Utah organized a group of 322 school children that took lessons at five different Utah resorts – Snowbird, Brighton, Solitude, Deer Valley and Park City. There’s still time to take advantage of deals to learn to ski and snowboard across the country during Learn To Ski and Snowboard Month. The Bring a Friend Challenge continues through the end of January, where you can win prizes for introducing someone new to your favorite sport, and those who share #FirstDayFaces photos can score some swag, too.